Temperature is rising finally! Great news, especially for those folks who have braved a long and cold winter. 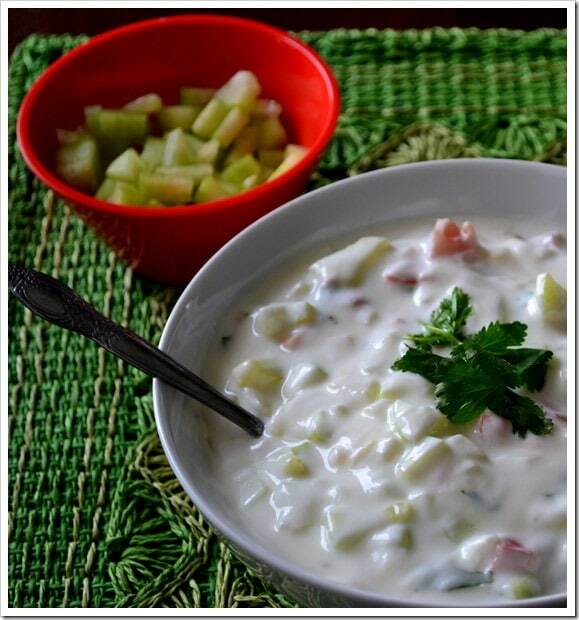 I am sure my friends in India do not agree and are looking for a respite from the scorching sun and that’s when Cucumber and Tomato Raita comes to the rescue. This recipe is a regular in our household and also has known to make appearances during special occasions such as Ugadi and Dassera. 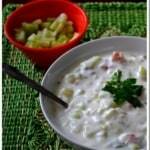 It is probably the first raita recipe I have ever learned to make. It serves a great accompaniment and does a fine job of balancing the spice and heat in Biryanis and Pulaos. I would recommend serving it the same day of making it because the tomatoes tend to release water and make the dish watery. Needless to say, use the freshest ingredients available to get the best out of this recipe! 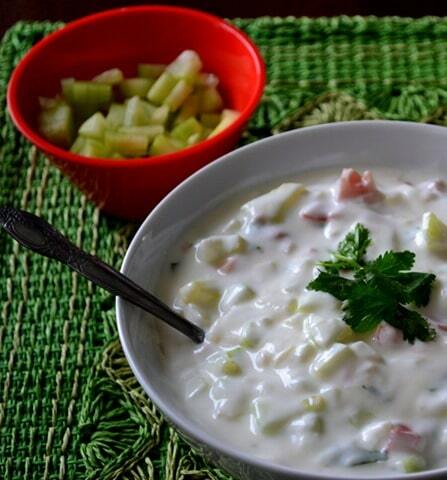 Add the chopped cucumber, tomatoes,ginger and onions to the yogurt and mix well. Refrigerate for 30 minutes for the flavors to blend in. Serve cold and garnish it with coriander before serving.